The Republic of Poland is located in Central Europe. It is bordered by Germany, the Czech Republic, Slovakia, Lithuania, Belarus, Ukraine, Russia and the Baltic Sea. Its capital and the largest city is Warsaw and is located upon the longest Polish river, the Vistula. Poland’s landscape is very diverse. The Carpathian and the Sudety Mountains stretch in the south, lowlands and uplands occupy the central part of the country, while the northern part of Poland, comprising Pomeranian and Masurian Lakelands, is gently undulating, relatively well forested and covered by hundreds of lakes. Still further to the north are the sandy beaches of the Baltic Sea coast. 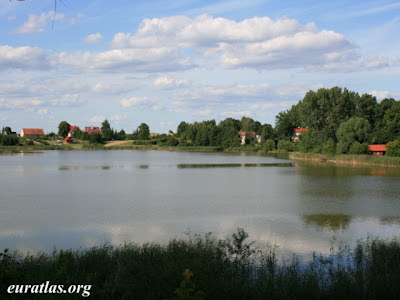 Thus Poland’s natural environment offers a real medley of varied attractions: incredible rocks, rare plants and animals, shifting sand dunes and extensive bogs and marshes. National Parks cover a mere 1% of Poland’s territory. Attractions include bison observing, the shifting sand dunes or the tree beneath which King Jagiello once rested. Poland has also a rich cultural heritage which breaths through its old towns, castles and palaces, including 13 UNESCO World Heritage sites. Poland's environmental situation has improved since the ouster of its communist regime, which has been accompanied by decreased emphasis on heavy industry and increased government awareness of environmental issues. Air pollution results from hazardous concentrations of airborne dust and chemicals. The resulting acid rain has caused forest damage. The main air pollutant concentrations (SO2, NO2, dust) in the vast majority of Poland's territory are relatively low. Excesses are most often recorded in the industrialized areas of southern Poland and particularly in the cities. The air quality in Poland is also affected by contamination originating in the neighbouring countries. A reduction in emissions was recorded in the last decade, due to technical improvements and stricter regulations. However air pollution from mobile sources (i.e. traffic) is increasing. Poland's water resources are scarce. Surface water resources are crucial for water supplies to the Polish national economy. Ground water resources provide good quality drinking water to the public. The volume of municipal and industry originated sewage has continued to fall over the last years. At the same time, large-scale investment projects have resulted in an increase in the number and efficiency of sewage treatment plants. However, the discharge of untreated sewage still remains a very serious problem in large cities. Water pollution from industrial sources is also a cause of concern. The Baltic Sea in particular is a hotspot. Disposing of hazardous waste is a challenge. The nation's wildlife has also suffered from degeneration of its habitats. As of 2001, 9.1% of Poland's total land area was protected. Ten mammal species were endangered. Six bird species and one type of plant are also threatened with extinction. The cerambyx longicorn and rosalia longicorn are among the endangered species. Poland will experience the effects of climate change through several sectors. Poland’s agriculture will be impacted through effects such as reduced soil humidity or reduced yields due to increased pest infestations. Coastal zones will notice sea level changes, and water resources will be threatened with increases hydrological events such as floods and droughts. Forestry will also be impacted, through increased erosion and soil damage, as well as loss of biodiversity. In 2004, 18.3% of adult Poles claimed they had dedicated time (without charging) to NGOs, groups, associations, or social or religious movements during the previous year. This means an increase by 8.3% in relation to 2001. The level of citizen engagement in supporting CSOs’ activities and, more generally, their engagement in public activities are currently at low levels, but slowly increasing in Poland. NGOs have, for many years, admitted that one of the basic challenges they face is the lack of citizens willing to selflessly support their activities. Generally, a limited and decreasing interest in public affairs is one of the most important weaknesses of Polish public life. One of the weakest components of civil society’s structure is its resources, particularly the lack of sustainable financial resources. As to the diversity and representativeness of the civil society arena, CSOs in Poland represent mainly active citizens, while the participation of marginalized groups is very low. Nevertheless all the important minority groups have the right to freely associate and choose their representatives. The environmental movement has a long history of about 25 years in Poland. The environmental “sub-sector” is characterized by a strong, distinct identity compared to the non-governmental sector as a whole. The survey “Situation of the Non-Governmental Sector in Poland in 2004” showed that, for 3.6% of the organizations, environmental protection was their main area of activity, while another 16% claimed to conduct some environmental activities. Unfortunately, the activities of the environmental organizations do not receive much public support and are not commonly known. According to OECD there are about 11 environmental taxes in Hungary, among which 1 regards energy products, 1 regards air pollution, 2 regard water, 3 regard waste, while the remaining 4 refer to the use of natural resources. There are also 9 environmentally motivated subsidies with the purpose to: limit waste disposal, strengthen management of hazardous waste, compensate for damage caused by wild species, enlarge forest resources and to manage properly poor quality soil (also devastated) according to the State Forestry Policy, support environmental projects responding to global environmental objectives like mitigation of climate change and reduction of transboundary air pollution, modernise the existing building resources in the range of energy efficiency and GHG emissions reduction and support the implementation of the National Environmental Policy. The National Program for Augmentation of Forest Cover highlights the importance of nature protection and landscape management as well as increasing the biodiversity resources in the afforesting work. In the National Strategy for the conservation and sustainable use of biodiversity and Action Plan for 2007-2013 the main goals are the preservation of the riches of biodiversity at local, national and global levels and ensuring the possibilities for the development of all the levels of its organisation. The Draft National Strategy for Management of Water Resources 2030 was prepared for the Minister of Environment in 2010. The strategic goal of implementing an integrated water management system is to provide the population with access to clean and healthy water, and reduce the risks related to floods and droughts. Fishing resources efficiency will be included in the Strategy for the development of the agriculture and fisheries and the Maritime Policy of the Republic of Poland until 2020, which are currently under preparation. The Project of Sustainable Development of Rural Areas, Agriculture and Fishery Strategy describes the long-term vision for the development of rural areas including the development of agriculture products base and maintaining native genetic variety of vegetable and animal production. The strategy for energy security and environment covers all major issues important for both matters, such as energy efficiency, enhanced security of fuels and energy supplies, development of the renewable energy sources, efficient natural resources management, sustainable management of geological resources, water management, multifunctional forest management, waste management, etc. In the Energy Policy of Poland until 2030 and The National Environmental Policy for 2009-2012 and its 2016 outlook there are provisions on rational use of energy resources and geological resources management. Dedicated sections deal with energy efficiency and use of renewable energy sources. RES is also addressed in the National Action Plan for Renewables. In addition, energy efficiency is tackled in the National Energy Efficiency Action Plan. In the field of energy efficiency in the building sector, since 2009 there is in Poland Energy Performance Certificate (EPC). The Draft Strategy for Innovation and Efficiency of the Economy is focused on the cooperation improvement and creating good conditions for enterprise development, innovation and efficient management of human, financial, material and natural resources. In the field of better products the Strategy of Implementation of Integrated Product Policies in Poland and the Executive Programme for Implementation of an Integrated Product Policy in Poland were adopted in 2005. The National Environmental Policy in force also addresses the issue of eco-friendly products. The Transport Development Strategy includes the development of the road, rail, air, marine and inland-water transport in order to modernize it, make it more efficient and more environment-friendly. The 2014 National Waste Management Plan covers full range of tasks required to provide for integrated waste management throughout the national territory. The ratio of environmental taxation to GDP was on a crawling upwards trend since 1995 and peaked in 2006 to start its equally steady decline. In 2009 it remained at its 2008 level (2.6 %), which equals the average value in the EU. The concept of corporate responsibility is familiar to two-thirds of the representatives of the companies. The promoters of ethical business are, above all, companies with foreign capital that, since used to work in the more developed civil societies of western countries, had introduced the same procedures in Poland. Socially responsible firms are mostly engaged in financial and material support; joint projects with NGOs are not very common (one-fourth of the companies were involved in such projects in 2004). At the same time, for two-thirds of the firms, cooperation with NGOs aiming at developing a social partnership was considered important or very important. Foreign companies are most experienced when it comes to ethical conduct. Public enterprises with national capital are worse in this regard. Corporate social responsibility is becoming a more commonly discussed concept and marketing campaigns appeal more frequently for social values. Also, non-financial forms of cooperation, such as volunteer work of employees, are becoming increasingly popular. Still, the pace of these changes is unsatisfactory.